In their sweet little modern love story, Chris and Emma met on a dating app while both were living in upstate New York. Even though Emma was supposed to go on a different date, one of her best friends had gone to high school with Chris and convinced her to meet up with him instead. They spent their first date in a state park and the rest is history! Chris proposed to Emma in their home with a custom ring from Etsy that Emma had been looking at for awhile. Both being pretty reserved people, Emma described the proposal as “simple, sweet….very us”. And we adored every second of their sweet, intimate, incredible day! 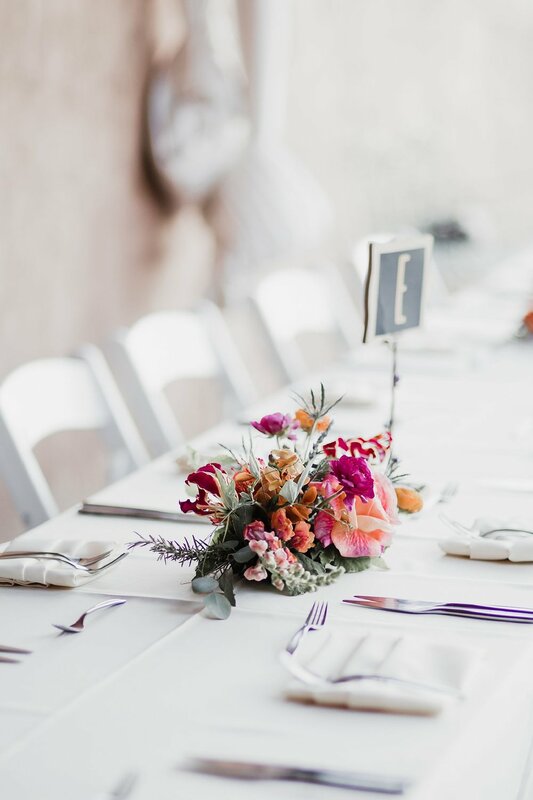 Chris and Emma threw the best little celebration at Hacienda Doña Andrea in Santa Fe with lots of personal touches and DIY details. 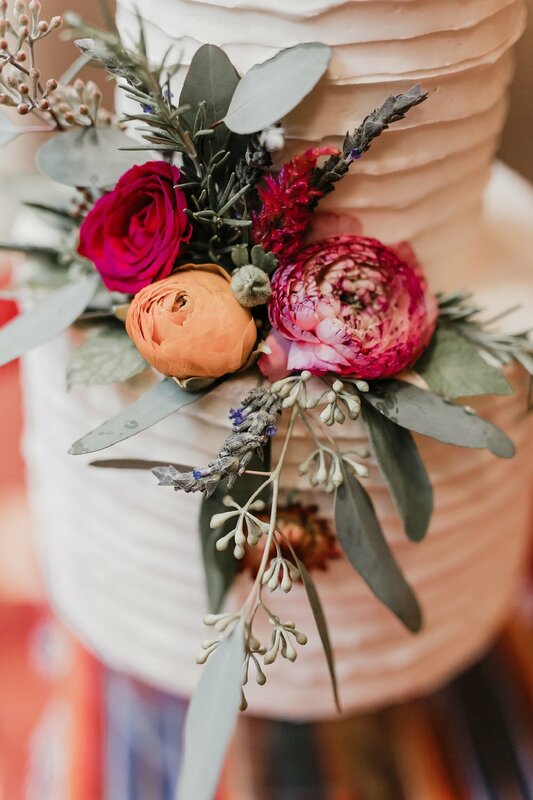 From Emma’s whimsical bridal style complete with white boots and a fur jacket to their amazingly bright floral arch by our gals at Viva Flora to ringing a historic bell moments after becoming husband and wife, these two set the bar for small weddings soooo high! These babes definitely have us convinced that real, amazing love is out there in the modern age and we’re forever reliving this day!